Hailed as the UK's answer to Stephen King, this guy deserves to be a horror star in his own right. His stories are genuinely really creepy and it's not often that I come across horror stories than genuinely scare me and leave me creeped out long after I've finished reading. But Adam L.G.Nevill is one of them. So far I've read quite a few of his short story anthologies, Before you Sleep, Tales from the Crypt and now, Some Will Not sleep. Each tale is amazing, with Adam Nevill tales there are no duds. He has incredible range as a writer using a variety of settings providing a really diverse landscape of tales. 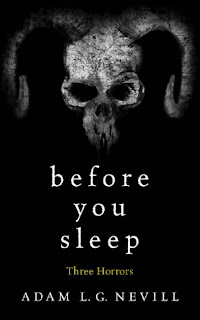 There are 11 short stories featured in here, some of which you may be familiar if you've already read his free ebook, Before you sleep. A few of these I had already read, such as The Ancestors, Florrie and Where Angels Come in but it didn't matter. I couldn't wait to read them again particularly The Ancestors, a seriously creepy tale. 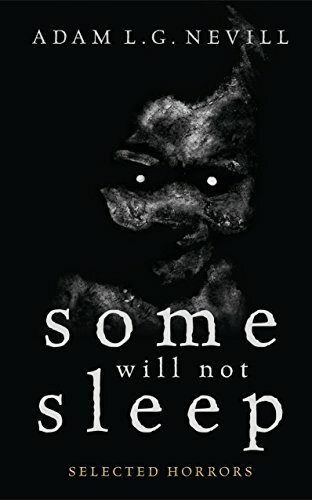 Some Will Not Sleep is another really solid collection, Pig Thing was an absolute highlight for me, set in New Zealand it tales the tell of a British family moving over and trying to adapt to their new way of life when a strange creature begins to develop an special interest in them. It's an absolutely brilliant tale. I also really enjoyed Yellow Teeth, this is a very dark tale set in London when a young man receives an unwelcome visitor from his past who refuses to leave. Such a good tale! Anyone who has ever had to put up with a nightmare flatmate will immediately relate to this. Mother's Milk was also really dark and sinister which stayed with me for a long time. When I first read Before You Sleep, a free taster book I found on Amazon, it was the first time I had ever read his work. Containing just three stories I read it over and over again. I was completely hooked and vowed to read everything he'd ever produced. There's real craftmanship that has gone into these tales. Not a word out of place or off kilter. I heard his writing being described as horror with a literary edge which is to say it is really very good writing. He is a master at bringing his tales to life with really vivid but concise descriptions which allow you to see the story as well as experience it. He really knows how to build up tension and the threat of horror, you know something bad will happen but it is impossible to be one step ahead and guess at what is about to happen.